Well first, I’m impressed you managed to somehow break the fourth wall and type a comment into my column. Kudos to you! Second, There is a good reason why we are going to talk about Final Fantasy VIII today. Namely, it is because of how strange it is that in this world where Square Enix continually makes cash grabs by reselling nostalgia in various forms, the only way to get this particular game digitally right now is as a PSOne Classic for your PlayStation 3, PlayStation Portable, or PlayStation Vita. That seems like reason enough to revisit it! 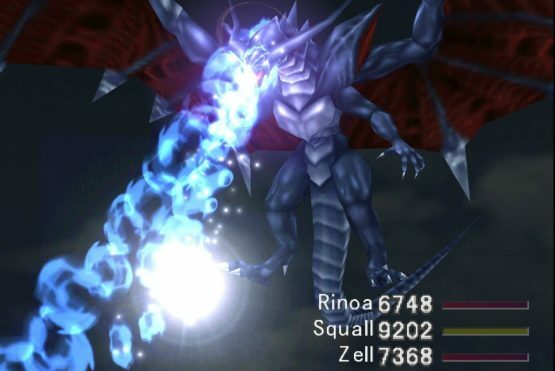 While Final Fantasy isn’t necessarily a series where the heroes have to all be plucky teenagers out to save the world, Final Fantasy VIII was one of those games that used that concept and tried to make it plausible. Around the world, there are these military schools called Gardens. These have student soldiers called SeeDs in them, who basically act a bit like mercenaries who also attend classes. People and governments can hire them to act as a supplementary military force. We follow a particular group of SeeDs in Final Fantasy VIII. 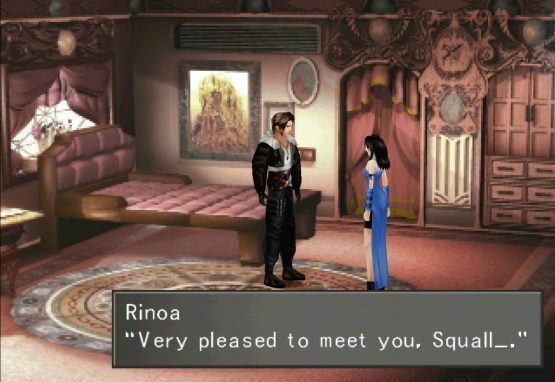 Squall is a loner who ends up being forced to play nice with his fellow students, namely his former-teacher-who-is-still-basically-his-age, Quistis, a punch-happy dude named Zell, an optimistic transfer student from another Garden named Selphie, and another student from another Garden named Irvine. Their task is to aid Rinoa, a teenage head of a resistance movement. This leads to them participating in an assassination attempt on a sorceress, travels around the world, and doing a lot of things you would not expect to do. Also, sometimes Squall and the two friends with him have these strangely realistic dreams about a soldier named Laguna and his two friends, Kiros and Ward. Now, I love Final Fantasy VIII. I wouldn’t be writing about it if I didn’t. It is a very divisive entry in the series, though. I’m going to focus on one of the love it or hate it features that isn’t a spoiler, and that’s the Junction system. Sorceresses are a big deal in Final Fantasy VIII, as they are beings that can use magic. Ordinary people can’t, but they can equip a Guardian Force (aeon/esper/summon). This means you can summon that character in battle to attack. It also means that you can use magic or special skills. Only certain Guardian Forces allow you to use certain skills, and so on. But the reason it gets to be so troublesome (for some) and beloved (for others) is because of the way you use magic. There will be places in the world where you can use the Draw command to get spells like Cure, Fire, Water, and so on. If you didn’t draw enough, you can’t use it. However, you can also use magic you have draw and stockpiled, up to 100 of each, and junction them to a character’s stats to improve those stats. For example, you can massively boost a character’s strength if you get 100 Ultima spells, never use them, and instead connect them to their strength stat. This means you have to think if you want to be strong or you want to use spells. It adds a bit of strategy, but it can also be complicated and confusing. I personally like it, because I’m the sort of person who is too paranoid to use magic in any game ever (what if I run out when I really need it). Some do think, maybe even rightfully so, that it penalizes you for using spells. 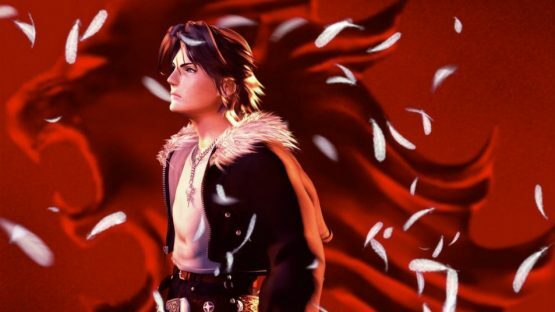 Is Final Fantasy VIII the best entry in the series? Nope. Is it interesting? Absolutely. Does it deserve to be living in this limbo where it is the only installment not to get some sort of remaster? I would say not. But, at least with that digital copy option, you can pay $9.99 on the North American PlayStation Store, £7.99 on the European PlayStation Store, and ¥1,543 on the Japanese PlayStation Store.